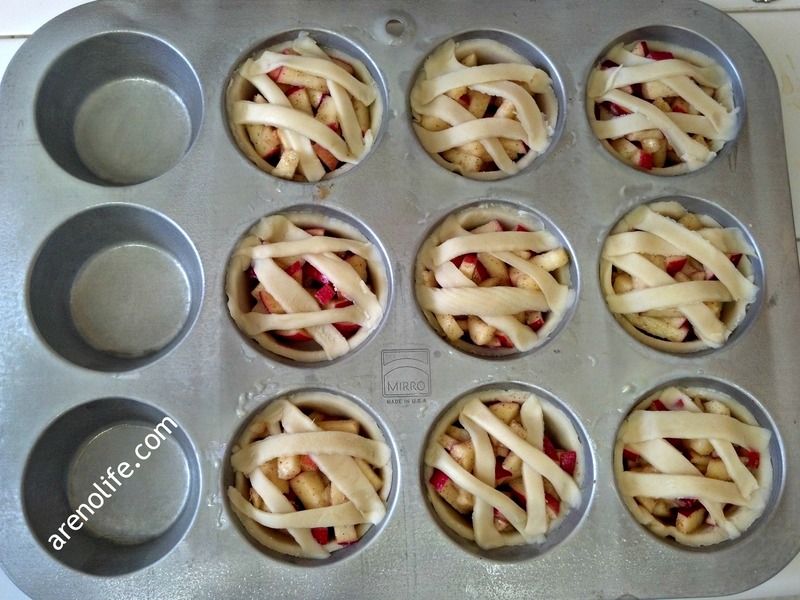 With recently hosting a Country Baby (girl) Shower, I wanted to make some homemade apple pies for everyone. 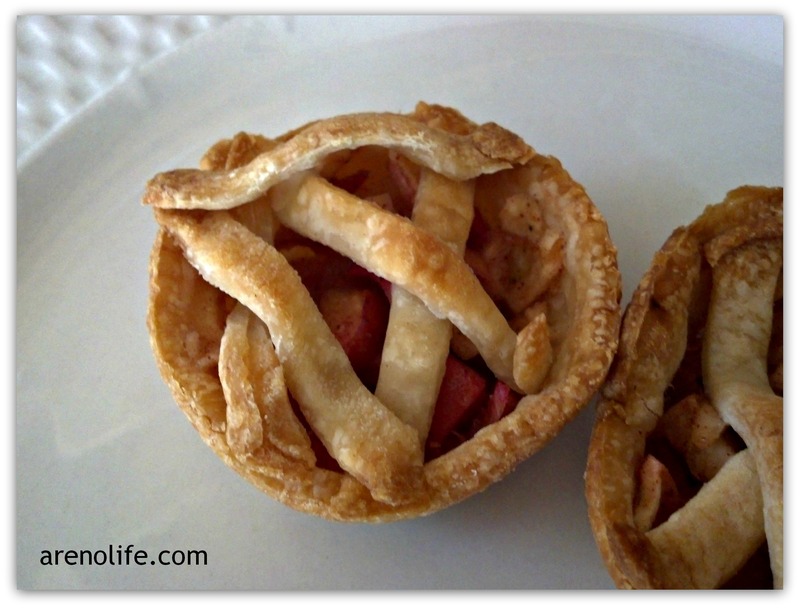 I find it easier to make bite-size or mini individual size pies so people and grab-n-go at the buffet which helps keeps the flow of the party going. For every 1 Apple, use 1 tbsp of Sugar. 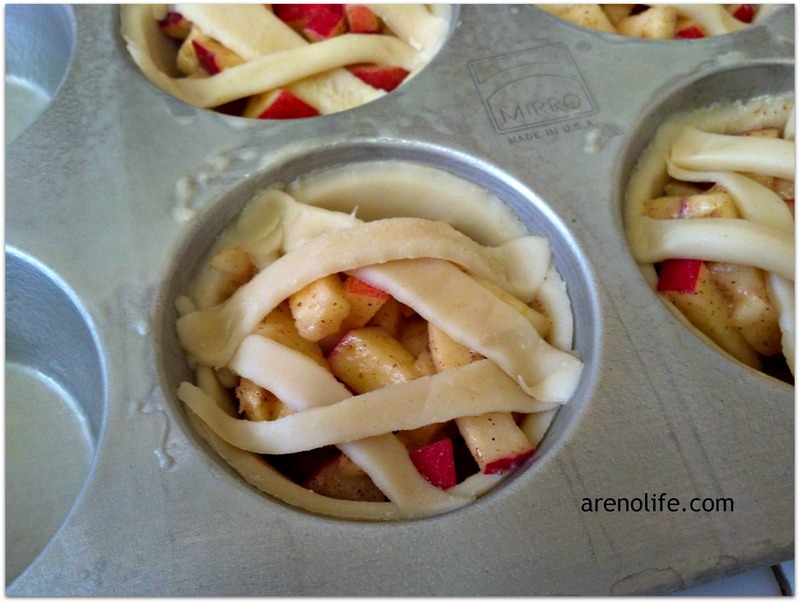 Take your pie crust out 20-30mins prior to unrolling it. This will unroll much easier than straight from the refrigerator. Preheat oven, to 425 degrees. Chop the Gala Apples — I cheated and used a “chopper” from Pampered Chef. 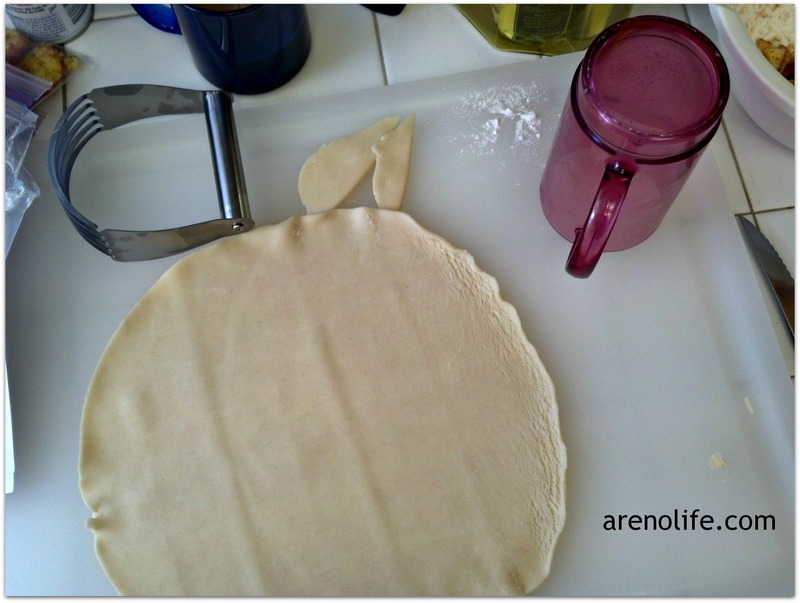 Unroll your first pie crust. Use your Plastic Cup as a cookie cutter to cut out as many circles as you can. I get about 8 without having to re-roll my dough. 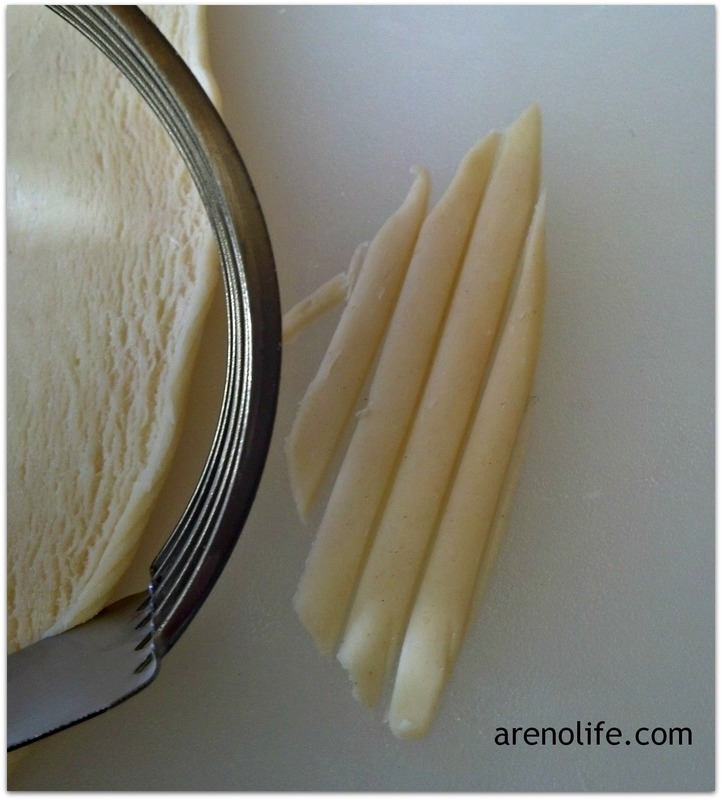 Then, use your Pastry Cutter to start cutting strips for the top of your pie. I didn’t have anything fancy so…hence the straight lines of the my pies. Place your circles in the tin, pushing the dough into the creases and pushing out any air below the dough. Take your strips and make 2 “X’s” (one above the other) on your pies and push the dough into your bottom crust so “they connect” for baking. Bake for 18mins @425 degrees. I’m sure you could also use this recipe for other fruit as well.